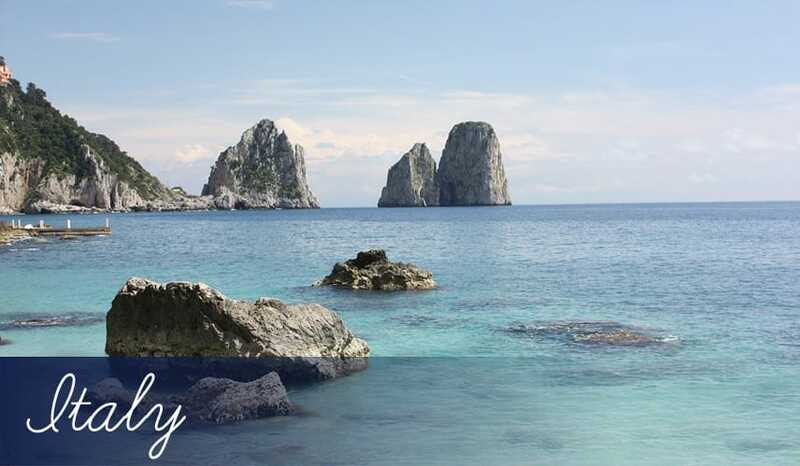 Italy is home to some of the worlds must see holiday destinations. From the shores of the Neapolitan Riviera to the islands of Sicily and Sardinia, you will find numerous resorts that offer something special. If you’re after some of the best scenic holidays Italy has to offer then make sure you head straight for Lake Garda. This beautiful lake is surrounded by lush Italian countryside in the north of the country close to Milan and Venice. It’s tremendous in size and boasts beautiful greenery and huge mountains with many resorts nestled around the edge of the water. There are some amazing resorts here for you to choose from and you won’t be able to resist taking a boat trip across the lake. Just make sure you bring your camera along to capture the perfect scenery. If you’re worried the kids may get bored, don’t be, as Lake Garda has its very own theme park known as Gardaland! Here you won’t just find many exhilarating rides but also an aquarium, which is ideal for smaller children. To the south along Italy’s western coastline in the ever popular Neapolitan Riviera, an area of coastline home to some of the country’s most popular holiday destinations. This is where you will find the city of Naples, a huge city overlooking the water, which has many historical attractions including the Castel Nuovo, an immense medieval castle. There are also numerous museums for those interested in history and culture and if you love to eat, the many restaurants are sure to keep you happy. Because of the excellent coastal location, you will even have the opportunity to learn to dive here! If you travel a little further along the coast you will eventually come to the town of Sorrento, perched high above the sea. The town is home to a number of attractions including Roman ruins and galleries. If you want to visit Pompeii, it’s the ideal place to start from. The islands of Sicily and Sardinia simply can’t be missed, as they each offer a unique holiday experience that can’t be experienced anywhere else in Italy. You may not think it but there are many superb resorts along the coast of Sicily not just a couple. Each of these resorts offer something different but the thing they have in common is the welcoming atmosphere and the easy access to the centre of the island. You will find sandy beaches here along with some truly fascinating historic attractions including the Temple of Concord. Sardinia is quite similar in the sense that there are more resorts here than you would probably realise and a whole lot of things to see from beautiful natural sights and historic ruins to bustling towns and amazing beaches. See which destination would suit you best by clicking on each of the locations below, so you can get the most out of your next Italy holiday! If you have any questions, please contact a member of our helpful sales team.